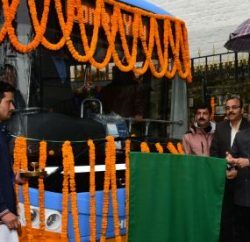 Transport Minister Govind Singh Thakur today said that the state government is soon going to purchase 30 electric buses for Shimla town. These buses would help in checking rising vehicular pollution. He said the purchase orders had been given after fulfilling all the codal formalities. The state government has followed the directions and norms of the Centre government and the quality buses were being purchased on the minimum rates. 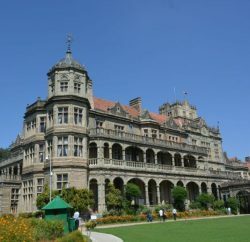 The Minister said that in all 50 electric buses would be purchased for Shimla town with the co-operation of Union Heavy Industries and Public Enterprises Ministry out of which orders had been given for nine metre long 30 buses while remaining 20 buses having length of seven meters would be purchased later for which the process was already on. He said that Himachal Pradesh was the first state of the country to purchase the quality buses on minimum rates. The nine meter long 31 seated bus was being purchased at a cost of Rs. 76.97 lakh which was purchased by the previous Congress government at around rupees two crores. Moreover, these buses would take only half an hour for full charging while the buses purchased earlier takes around five to six hours.